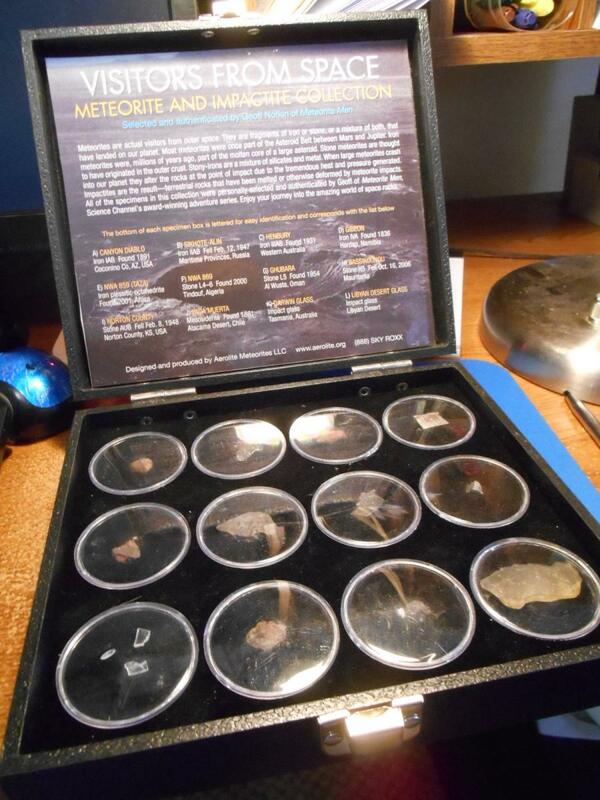 A twelve-piece collection representing all of the major meteorite types in LIKE NEW CONDITION. This wonderful collectors' set features twelve different specimens, of which ten are genuine meteorites and two are impactites (impact glasses created by ancient meteorite events on Earth). All of the major meteorite types are represented: stone, iron, and stony-iron. 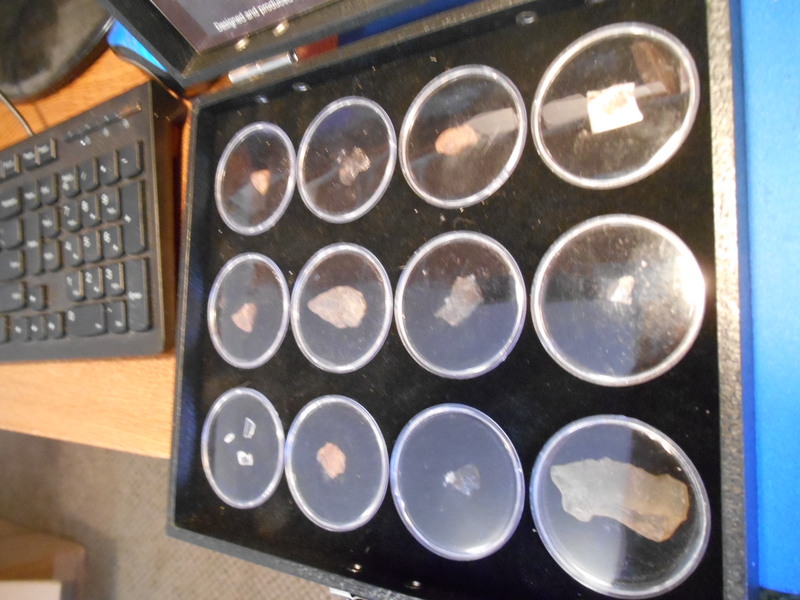 The twelve pieces are each enclosed within individual clear plastic specimen boxes, and housed in attractive padded display case, with hinged top. 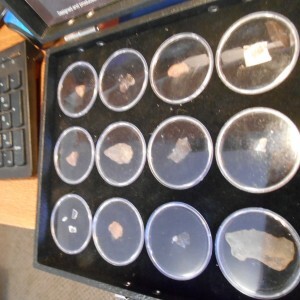 A laminated full color insert describes each of the specimens, including its classification, and location and date of find. Each individual specimen box is individually lettered on the bottom, and that letter corresponds to a listing on the color insert, so specimens can be removed and studied without getting mixed up. 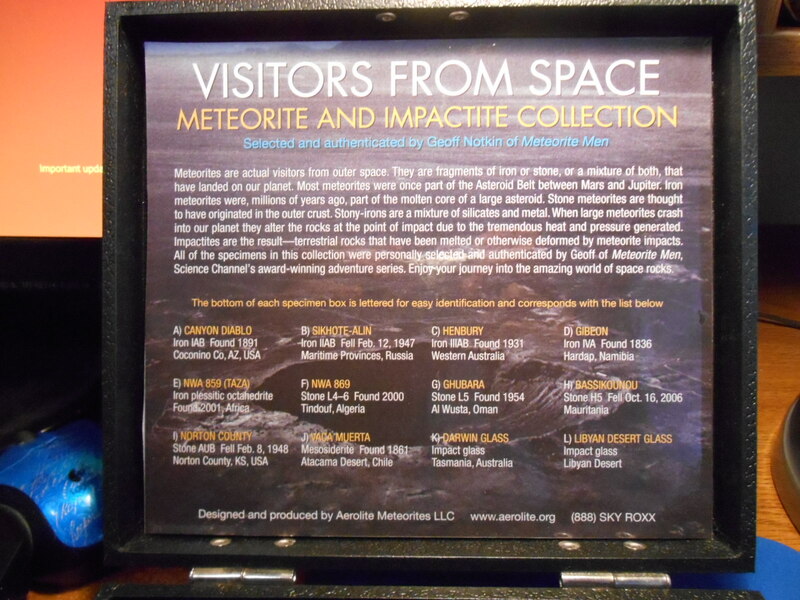 And the Visitors From Space set comes complete with a certificate of authenticity and an exclusive photo, both personally signed by Geoff of Meteorite Men, and one of Geoff's Aerolite Meteorites stickers. 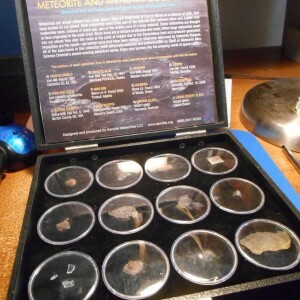 A great collectible for science enthusiasts and Meteorite Men fans of all ages. 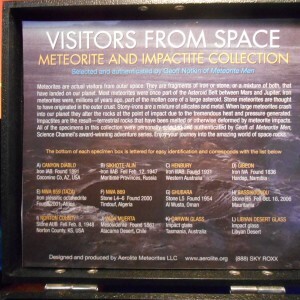 Visitors From Space is also a fantastic introduction to the amazing world of meteorites and meteorite collecting. These call for $246. plus shipping. Yours for $175. shipped and Paypal fee included.